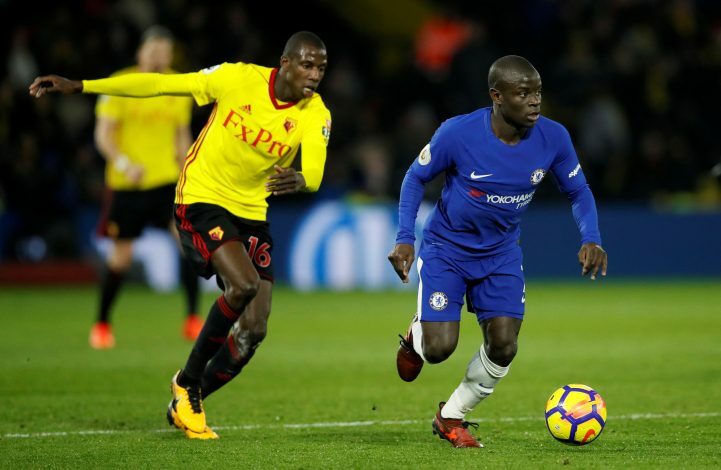 United are prepared to lock horns with rivals Arsenal and Liverpool in order to secure the services of Abdoulaye Doucoure. The Watford star has quickly become a fan-favourite at Vicarage Road since making his debut. The Frenchman has registered 7 goals this season, making him the side’s top scorer so far. But rather than his eye for goal, his technical ability and dynamic style of play are what made him popular among some top clubs, including the three giants of England. According to Mirror, Doucoure is on the target list of Arsenal, Liverpool and United. Moreover, it was also reported that the Red Devils had club officials monitoring the midfielder against West Bromwich Albion on Saturday. It is easily understood that Jose Mourinho is preparing for life without Michael Carrick, who is set to retire at the end of this campaign, and also Marouane Fellaini, who wishes to depart in search of adequate game-time. Nevertheless, with the Gunners not content with Granit Xhaka lately, and Jordan Henderson hardly looking reliable for Liverpool for the long term, a tight competition is expected should all three clubs decide to pursue the 25-year-old. Further, with the Watford man himself hinting that he would be open for a summer move, the situation has only become more exciting.